Motilal Oswal’s Wealth Creation Studies have been prescribed as compulsory reading for all novices by the mandarins of Dalal Street. This is because the Wealth Creation Studies have the optimum mix of theoretical knowledge coupled with actionable stock ideas. 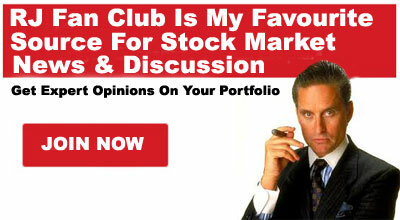 We learn intellectual aspects of investing while getting ready-made stock tips. It must also be borne in mind that the Wealth Creation Studies are personally authored by none other than Raamdeo Agrawal. 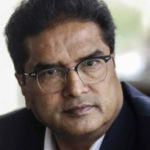 Raamdeo Agrawal has made a personal fortune of Rs. 1,000+ crore from the stock market which obviously means that he knows what he is talking about. He has revealed the precise technique that he adopted to make the fortune of Rs. 1,000 crore from stocks (see video below). 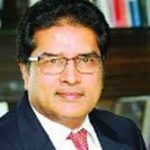 In the latest 23rd Annual Wealth Creation Study, Raamdeo Agrawal has conducted a meticulous examination of the numerous factors that turn ordinary stocks into mega multibaggers. At the end of the study, he has concluded that the secret formula is to find stocks which have the dual characteristics of high RoE and low PEG (P/E to growth). At the same time, Raamdeo has warned that buying stocks at PEG > 1.5x is avoidable. He has also cautioned that the high level of underperformance at PEG of 3x+ should be a warning signal especially in the current market where stocks which are high on quality (read, high RoE) but low on growth are trading at fancy P/E multiples. Raamdeo Agrawal knows very well that novice investors never take anything at face value. We demand tangible proof even if the person making the assertion is an accomplished Billionaire investor. So, he has laboriously given examples of stocks with the coveted high RoE and low PEG which have blossomed into magnificent multibaggers. The most striking example is that of Indiabulls Ventures which has been crowned the title of “Fastest Wealth Creator”. Its stock price has multiplied at a scorching pace of 30x (97% CAGR) in the period from 2013-18. It is worth noting that Indiabulls Ventures was quoting at a throwaway valuation of 3x in 2013. Today, it demands a P/E of 54x which investors are meekly paying. In fact a paltry sum of INR 100,000 invested equally in 2013 in top 10 Fastest Wealth Creators would have grown to a mind-boggling INR 1.7 million in 2018, delivering a return CAGR of 75%. Over the same period, INR 100,000 invested in the Sensex would have grown to only INR 175,000 (12% return CAGR). 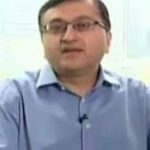 HDFC Bank has been awarded the title of all-time-great wealth creator. It has generated eye-popping wealth of INR 3,247 Billion for investors in its lifetime. The total wealth generated by the top 10 companies is Rs. 18,948 Billion while that generated by the top 100 companies is Rs. 44,883 Billion. 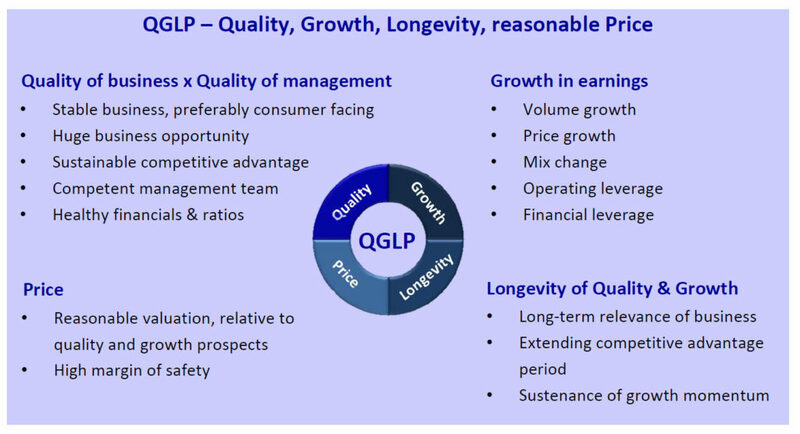 What about QGLP and Mid-to-Mega formulas? 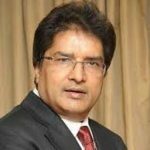 Raamdeo has clarified that the famous ‘QGLP’ (Quality, Growth, Longevity, reasonable Price) and ‘Mid-to-Mega’ formulas which were revealed in earlier Wealth Creation Studies are still valid techniques for finding multibagger stocks. 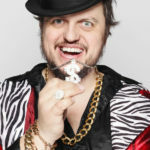 In fact, the ‘Mid-to-Mega’ has been described as a “potent investment strategy”. (i) Companies leap-frogging from Mini to Mega is very rare. (ii) A fair number of companies move from Mini to Mid and deliver supernormal returns. However, they need to be identified from a large base of about 500 companies. (iii) The most potent and focused hunting ground for high-performing stocks is the Mid category i.e. 200 stocks with market cap rank 100 to 300. (iv) Over the next five years, 16-20 of these stocks will cross over to the Mega category and deliver handsome returns in the process. 3. P/E (Price-to-Earnings) – this helps determine reasonable price. Raamdeo is well aware of the penchant of some novices of dabbling with PSU and cyclical stocks in their obsession to get rich overnight. “For the past several studies, Wealth Destruction has been dominated by cyclical sectors – Metals/Mining, Construction, Real Estate, Capital Goods, etc,” he said in a somewhat stern tone. “Sure, stocks in these sectors may turn Wealth Creators someday. But still, timing one’s entry and exit in cyclicals is crucial. Considering the difficulty in achieving this, perhaps cyclicals are best avoided altogether,” he added. 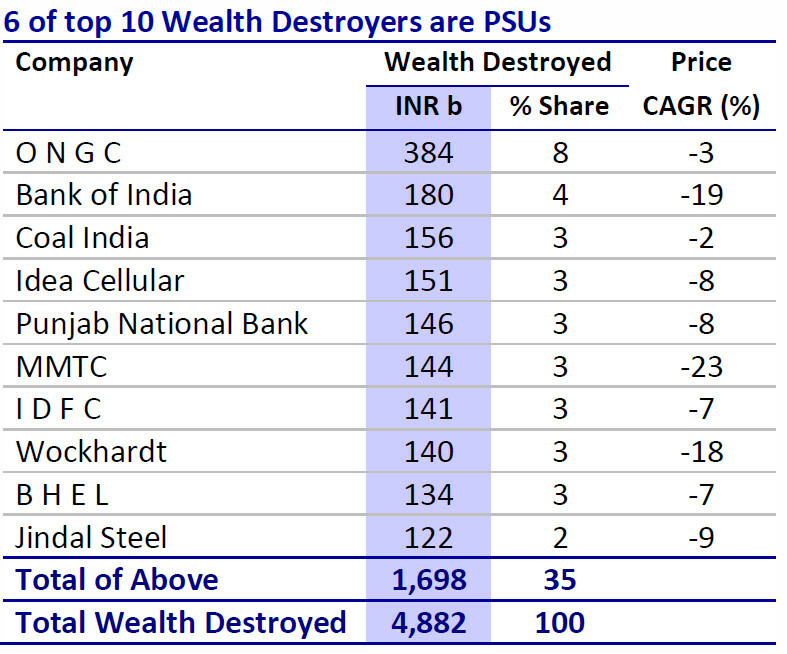 Raamdeo has also produced a list of the most notorious wealth destroyer stocks, which makes for scary reading. The total wealth destroyed by these worthies is a colossal INR 4.9 trillion. No doubt, these rascals should be perpetually banned from Dalal Street. Latha Venkatesh summoned a conclave of the three leading experts to determine where they stand with respect to the theories formulated in the Motilal Oswal 23rd Annual Wealth Creation Study. The three stalwarts were relentlessly grilled by Latha Venkatesh for over 120 minutes on all aspects of investing theory and no stone was left unturned. At the end of the marathon session, all parties were ad idem that the theory formulated with regard to the high RoE and low PEG is indeed the infallible formula to find multibagger stocks in 2019. (ii) The two key drivers of value are RoE and Earnings growth. (iii) Companies create Intrinsic Value only when they earn RoE higher than Cost of Equity. If RoE is exactly equal to Cost of Equity, any level of growth creates no value. (iv) Low RoE companies must focus on increasing RoE, high RoE companies on increasing growth. (v) Both high RoE and high Earnings growth are difficult to sustain, especially Earnings growth. Hence, stocks whose rich valuations factor in such high growth rates to sustain will most likely disappoint. (vi) PEG less than 1x is a near-infallible formula for healthy outperformance. (vii) Any growth insight is valuable, even if it means only for the next one year. (viii) Valuations above 50x P/E have a very low probability of generating market outperformance. (viiii) Buy QGLP – stocks with high-Quality business run by high-Quality management, with healthy earnings Growth to be sustained over a Long period (at least 5-6 years), at reasonable Price, preferably PEG less than 1x. (ix) And finally, investors must seriously consider selling stocks in their portfolio trading at 3x PEG or 2x relative to market, whichever is higher. How do you find stocks with such criteria? Any list?